A redevelopment of Burwood Hospital was approved in 2000 to address a number of areas where facilities no longer met current standards and public expectations. The brief required Sheppard & Rout to develop a new main entrance for the hospital and the associated administration facilities in addition to a new main concourse and Orthopaedic ward. 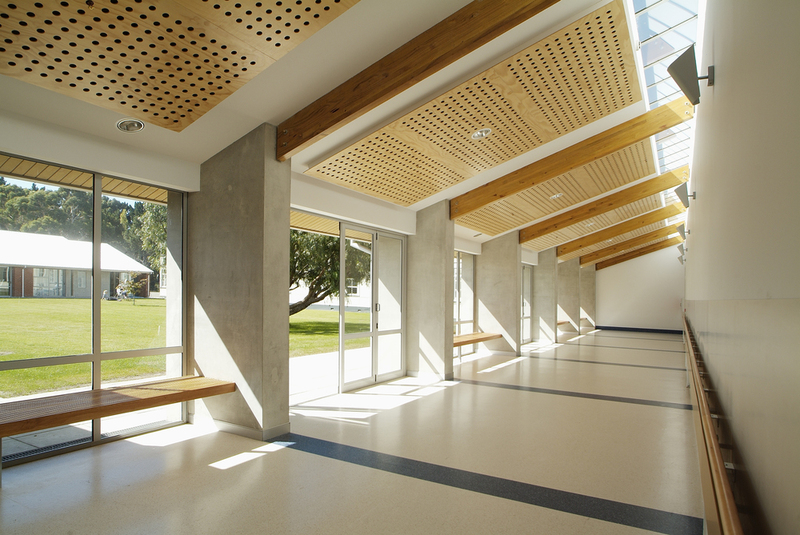 In contrast Christchurch’s central hospital, Burwood Hospital has a sense of space and peace due to its suburban environ and neighbouring pine forest. 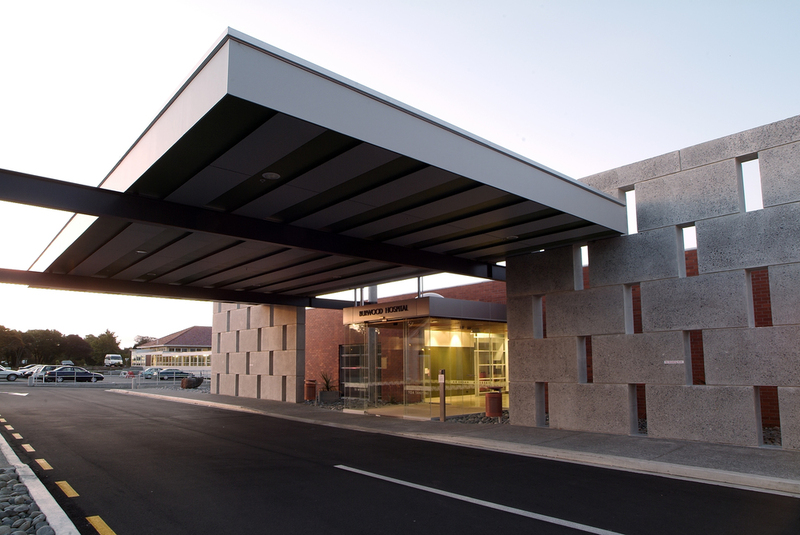 The architecture responds directly to this condition in its size and bulk but is most evident at the entrance; a series of layered zones of brick and block walls transitions the occupant from the exterior into a hospital environment. Visitors arrive into a light-filled space which concurrently forms the beginning of the concourse and the new main circulation spine for the hospital. 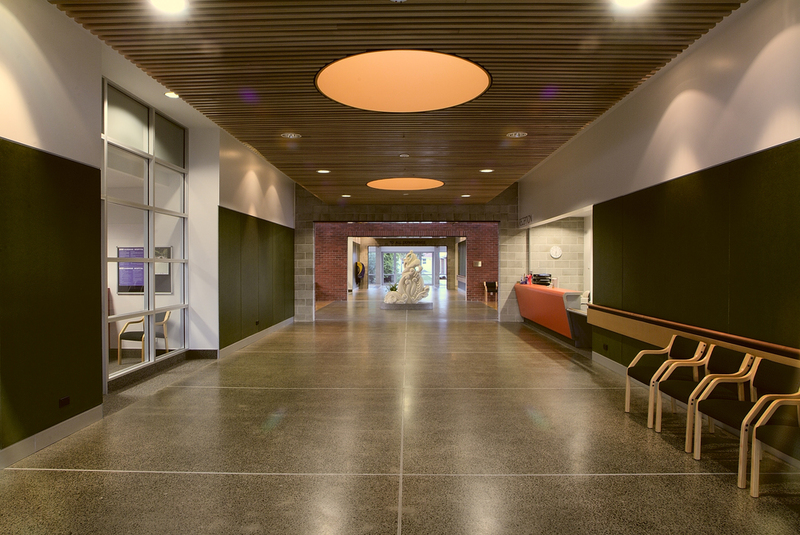 Both public spaces such as this, and private rooms, open onto courtyards to allow intimate connections to the environment which research has proven to be an extremely effective factor in the rehabilitation process for patients.